Most homeowners are ill-equipped to deal with the major systems that make their houses comfortable and functional. Considering the amount of knowledge and experience required to become a licensed plumber, electrician, or HVAC technician, just for example, this really isn't very surprising. And while the truly enterprising weekend warrior might bust out the tools and the home repair guide and get to work flushing the water heater, changing out lighting fixtures, and replacing the furnace filter, most of us simply call in the pros when something goes wrong. And when your AC unit goes kaput, the last thing you're likely to do is replace it yourself. That said, there are some things you'll need to consider before you choose a new model. And your HVAC technician can help you find the right product for your home if you know what questions to ask. Here are a few basics for any homeowner looking to upgrade their AC system. The first issue to address is the unit itself, and there are a couple of concerns. For starters, you want to make sure you get the right size of unit for your home, which is to say, a model that offers the appropriate capacity for your square footage. Any HVAC technician worth his salt should be able to warn you off units that are too large or too small for your home. But it never hurts to ask. If you end up with a unit that is improperly sized you'll either burn it out trying to cool your home or end up paying way too much for your energy bill and potentially facing issues with condensation and leakage. The point is that you need to make sure your new unit is the right size, and this is especially important if your home has had any additions that would increase the square footage (meaning you likely wouldn't want the same size unit you had before). You should also ask about energy efficiency and pollution. Old-school AC units are notorious for using a refrigerant called Freon, a chlorofluorocarbon responsible for ozone depletion. Most newer models have switched to fluorine-based (rather than chlorine) refrigerants as a means of doing less harm to the environment. 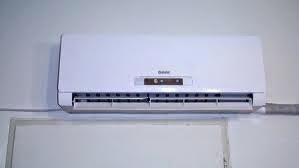 And of course, you'll definitely want a modern unit that is as energy efficient as possible, which probably means selecting a model that offers 2-stage or variable speed cooling, as opposed to single-stage operation. Whereas single-stage units run at 100% capacity every time you turn them on, a 2-stage product will work at a little more than half capacity when you only need to adjust the temperature a couple of degree and then bump up to full capacity for larger leaps in cooling. A variable speed, on the other hand, varies by demand, but keeps running at low capacity even when the desired temperature is reached, ensuring that fresh air is always cycling through your home, improving your interior air quality in the process. That said, your job isn't quite done yet. While you're upgrading your AC, you might also want to perform a heating system comparison to ensure that all of your HVAC equipment meets your many needs. And you should certainly add a programmable thermostat to the mix if you don't already have one so that you can set an appropriate schedule for heating and cooling your home. You may even want to include a zoning system to optimize your entire HVAC system and keep your home environment as comfortable as possible. With the right AC system in place you can increase comfort and savings while cutting your carbon footprint. It's a tall order, but when you know the basics you should be able to meet all your goals.